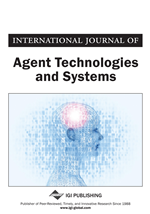 This paper deals with one of the key issue in modern enterprises applications: the Agents Interaction Protocols (AiP) that are interconnecting the different parts involved in collaborative activities. The challenge here is twofold. First, we must provide a formal model that is rich enough to capture interactions characteristics. Second, we must allow designers to combine existing protocols to achieve a new specific need. The paper introduces a formal analysis framework allowing the verification of the conformance between interaction protocols. The semantics of AiP notations used in our approach and its application are described on the basis of translation rules into colored Petri net. The key feature of this framework is the ability to model and formally verify composition of AiP, where particular protocols may then be selected and composed to support a new business task. Furthermore, an agent-based architecture that supports our approach is developed. The main goal of the proposed architecture is to address and tackle AiP composition in the context of Cloud-based enterprise application. The emerging service economy and the advances in information technology have dramatically increased the complexity of understanding how organizations evolve within a world of interactions and partnerships. In current practice, interoperability is defined rigidly and purely in operational terms. Consequently, the software components of the business partners are tightly coupled with each other (Barjis, 2009). Business partners interoperate, but just barely. Even small changes in one partner component must be propagated to others, even when such changes are inconsequential to the business being conducted. Alternatively, in current practice, humans carry out the necessary engagements manually with concomitant loss in productivity (Artikis et al., 2010; M. P. Papazoglou, 2008). In such an environment, if there were no mechanisms to structure inter-organization interaction, software components would need to handle a wide variety of communication making interoperability complex with sophisticated reasoning capabilities. It would be difficult to predict a priori whether two business partners could interoperate (P. Papazoglou et al., 2008). AiP (Agent Interaction Protocols), as we understand them, provide a middle ground between rigid automation and flexible manual execution. Using protocols as a mechanism to structure communication, agent implementations can be less sophisticated. Protocol designers analyze and design protocols for desirable properties. Agents publicly declare the protocols in which they can participate making it easier to find agents with whom to interoperate. The importance of interaction has been stressed by many authors (Zaha et al., 2006; Benmerzoug et al., 2008b; Decker & Weske, 2011). Moreover, interaction is also considered as a first-class citizen in various industry standards (Van der Aalst et al., 2009). For a better interactivity, interactions between business partners should be appropriately regulated. However, developing effective protocols to be executed by autonomous agents is challenging. Similar to protocols in traditional systems, AiP in open and Web-based settings need to be specified rigorously so that business partners can interact successfully. This raises the obvious problem of verifying that interacting business components do respect the interaction protocols. For this reason, we use Colored Petri Net (CPN) as target notation. CPN allows analysis to check for properties in interaction protocols. The semantics of the interaction notations used in our approach and its application are described on the basis of translation rules into CPN. Besides the formalization and the verification of AiP, our approach motivates the reuse of protocols by maintaining repositories of commonly used, generic, and modular AiP. Further, the repository would expand as newly composed protocols are inserted into it. Consequently, an agent-based architecture that supports our theoretical approach is developed. The proposed architecture is based on the idea of reducing the complexity involved when developing a composite application. Also, we have applied and tested our architecture in the context of Cloud services composition. This research is among the earliest efforts, to the best of the authors' knowledge, in adopting an AiP-based approach for supporting Cloud services composition. The remainder of the paper is organized as follows: Section 2 overviews our previous work: The use of AiP to define and manage collaborative processes in B2B relationships. Based on that, in sections 3 and 4, we give details about protocols composition including protocols contract and protocols operators. Section 5 focuses on the verification of composite protocol correctness. Section 6 presents an AiP-based architecture for Cloud services composition and discusses some aspects of the implementation. In Section 7, we present the experimental results on the architectures performance in terms of both private and hybrid Cloud services. Section 8 overviews some related work and Section 9 provides some concluding remarks.